While we have gotten wind that the original Samsung Galaxy Tab 7″ tablet device will not be getting an Ice Cream Sandwich update, here is news for those who want some Ice Cream Sandwich sweetness, and yet do not want to take the route of more established hardware manufacturers. 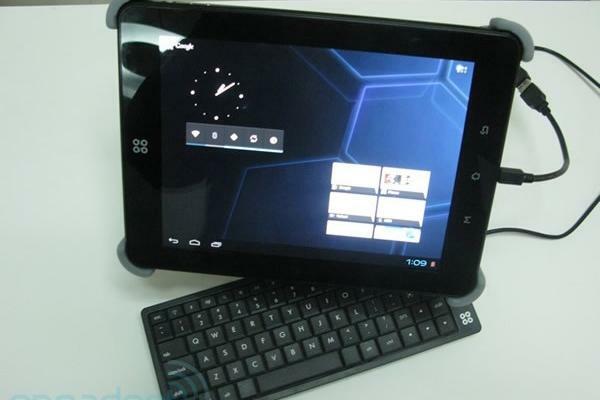 If you are willing to throw your lot with Smart Devices of China, then be prepared to ride the Android 4.0 rollercoaster with their Ten3 tablet. Sporting a 9.7″ IPS display, a dual core TIOMAP4430 processor that hails from Texas Instruments, and 1GB ROM, you will also find modern specifications that keeps up with the Joneses such as a front and rear camera, Bluetooth connectivity as well as Android 4.0 Ice Cream Sandwich for the operating system of choice. Surprisingly though, the high end specifications do not seem to be reflected by the price, as it will have a tag of $268 a pop. Do you think with better marketing and industrial design, tablets from obscure manufacturers in China will be able to capture the imagination of the masses? Image from Engadget.